September has longed to return to Fairyland after her first adventure there. And when she finally does, she learns that its inhabitants have been losing their shadows - and their magic - to the world of Fairyland-Below. This world has a new ruler: Halloween, the Hollow Queen, who is September's shadow. And Halloween has no intentions of giving Fairyland's shadows back. 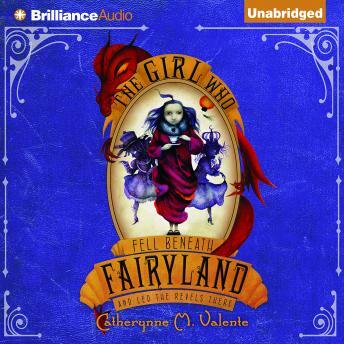 Fans of Valente's bestselling first Fairyland book will revel in the lush setting, characters, and language of September's journey. Listners will also welcome back good friends Ell, the Wyverary, and the boy Saturday. But in Fairyland-Below, even the best of friends aren't always what they seem. . . .